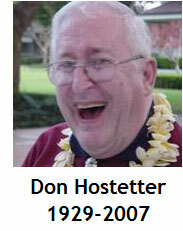 Don Hostetter’s love for camping was established early through the contagious passion of his father, Rev. Dr. Meyer Moyer Hostetter, and through scouting in high school. 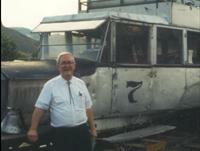 Don’s decision to choose camping ministry as his vocation came in the summer of 1953 leading a senior high conference at Denton Lake. That same year he was ordained a Minister of Word and Sacrament by Hudson River Presbytery, subsequently serving as Pastor of Middletown’s Webb Horton and Carmel’s Gilead Churches. He remained a member of that Presbytery ever since, including serving as its moderator and as commissioner to General Assembly. Don’s training in church camp ministries was supervised by the pioneers of small-group camping in the national church’s Board of Christian Education: Maurice “T” Bone, Fritz Messinger, Gordon Hermanson, Hamlin Tobey, Paul Calvin Payne, and L.B. Sharpe. In 1962 Don became the Field Director for the Presbyterian Christian Education Council, a partnership between the Presbyteries of Hudson River, New York City, and Long Island. His responsibilities included all aspects of Christian education for the three Presbyteries’ 45,000 members and 300 churches, but most importantly he supervised the camp and conference centers of the Presbyteries, Minden in Bridgehampton and the Presbyterian Center in Holmes. 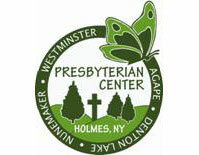 By 1977, these camping responsibilities shifted to became his full time occupation, and as Executive Director of the Presbyterian Center at Holmes, Don orchestrated its transformation from a 100-acre eight-week summer camp to a 550-acre year-round camp and conference facility. Over these three decades, Don authored innumerable works on the direction and future of camping ministry, was active in the leadership of the Presbyterian Church Camp and Conference Association (PCCCA), and established The Consultant’s Network of the national church in 1986 to provide advisory services to the Presbyterian Church’s 140 camps and conference centers. Don became Executive Director Emeritus of the Presbyterian Center at Holmes in 1994, and continued his leadership of The Consultant’s Network with the national church. 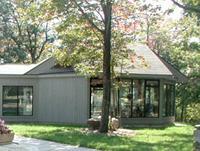 The American Camp Association voted to award Don its highest “Legends of Camping Award”, which was to be presented in March 2008. He has been a board member of Hunter College and the chair of the New York City Environmental Education Board. Don influenced thousands, as he brought architecture, religion, history, management and theology to bear on everything he did. Don was a quick study, loved to share his encyclopedic knowledge, and everyone learned from Don's enthusiastic sharing of his faith and God's world. Don's teaching spread far and wide across our church, and he was long known as the “dean” of Presbyterian camp and conference ministries. Many camp directors and board members met Don in times of great challenge and almost always recognized that the questions he asked were the best, that the advice he gave was visionary, and that his company was invaluable in their ministry. He could hone in on the most crucial factor in a challenge with great precision. Although his soul’s journey continued to a greater light on Easter Sunday 2007, Don's work toward the kingdom of God will always be around us – in Agape Centers, in buildings he improved, in roundtables, in small group camping, in bolo ties and suit coats, in Bible stories around campfires, and in witness to the Resurrection.